Modern day skincare is increasingly drifting towards artificial and ugly cosmetic procedures that put the health of our skin, the largest body organ, under the knife, and end up doing more harm than good. In the presence of these harmful and potentially hazardous procedures, one must increasingly seek out natural healing and rejuvenating remedies and procedures to uplift and nourish our skin. Let’s admit it, wrinkles and fine lines are scary, for they deprive us of our youthfulness, our confidence and our radiance. But the answer to eliminate these nasty lines and wrinkles can never be found in artificial procedures, you need to allow your skin the healing benefits of gold, which will rejuvenate the skin from deep within, improve the production of collagen and preserve your youthfulness naturally. 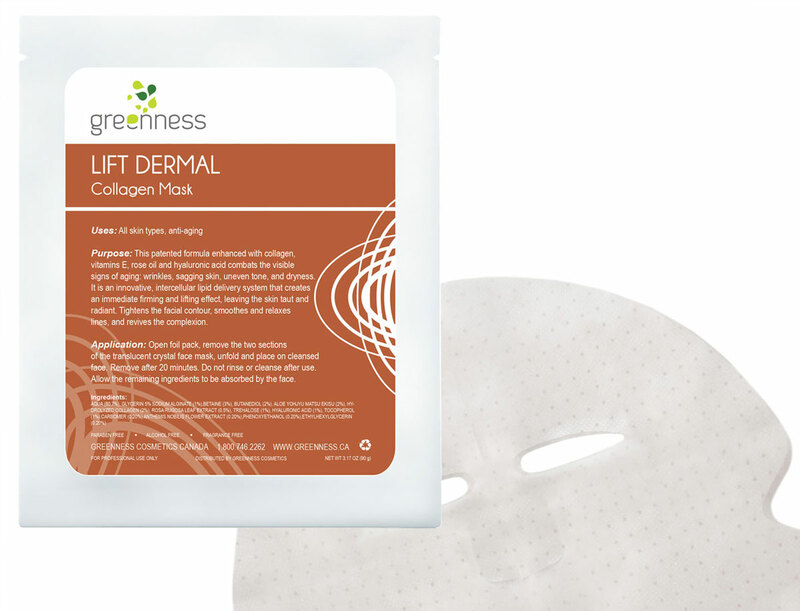 The lift dermal collagen mask is infused with collagen, rose oil, vitamin E, and hyaluronic acid, which aid in fighting off the emergence of wrinkles and eliminate all signs of aging, including uneven skin tone, sagging skin and the awful dryness. This innovative formula works with an intercellular lipid delivery system that provides your skin an instantly noticeable firmness and lifting, which will make your skin taut and radiant. You will no longer need to lather your face with dozens of contouring products because it will naturally tighten your facial contour, and brighten your complexion, along with smoothing out those nasty fine lines. As women, beauty and youthfulness is our ultimate prerogative, and the emergence of dark spots, fine lines and wrinkles deprives us to cherish our beauty. Collagen and gold aid in activating the basal cells of the skin, which boost its elasticity and firm up its texture. This aids in fighting off the emergence of all kinds of marks, fine lines, blemishes and wrinkles, to give your skin a youthful and firm appearance. Excessive exposure to the sun and dryness can cause the aging process to speed up, and you experience the signs of premature aging emerging on your skin. This collagen-infused mask can help fighting off the dryness, and speed up the metabolic rate to help prevent all those nasty signs of premature aging.